Self adhesive tape to apply lines to your whiteboard. Cut to any size; design a planning board to suit your needs. Also great for use on flyers, sales aids, charts, graphics, models and other visual communications. Size - 3 mm x 9m long. Blister card with an individual roll of black crepe tape. Premium Pilot Line Tape creates permanent lines on any whiteboard. Ideal to aid writing and to customise your whiteboard. Size - 16.4m tape length and 0.1 mm thick. 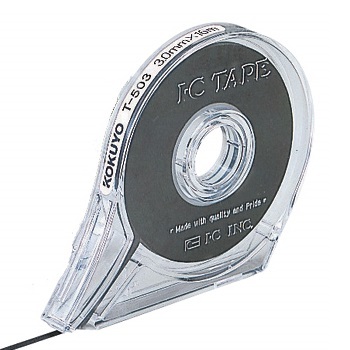 Individual tape reeled on a handy easy-to-use dispenser. 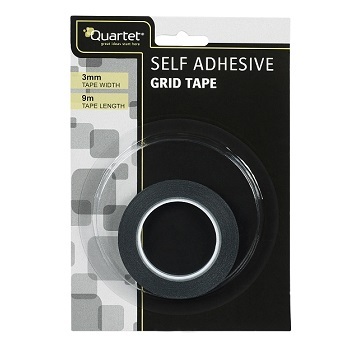 Available in 1.8 mm and 3.0 mm tape widths.